May has become the second busiest month of the year for our family, only outdone by the holiday rush in December. Since we had so many fun events in May, I had to use three page spreads (or six pages) to cover it all in our 2013 Family Album. 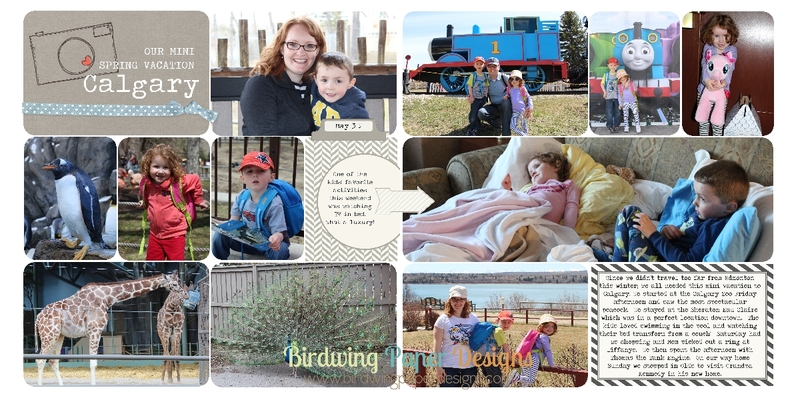 The first weekend of May had us travelling to Calgary to see Thomas the Tank Engine and also a visit to the zoo. 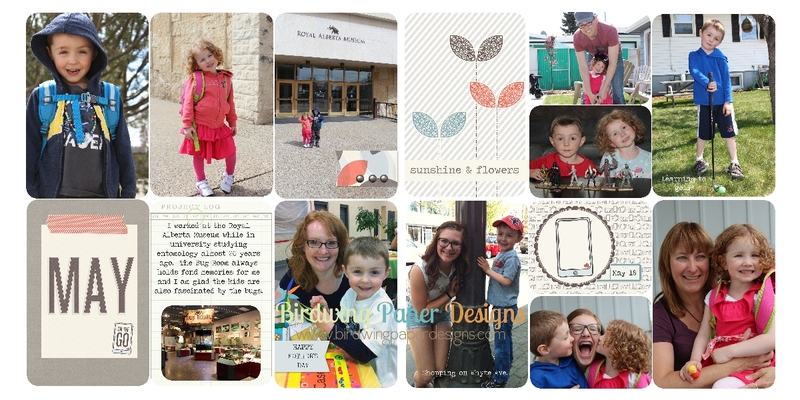 Digital elements from “Retrospective” and “Scenes From Real Life” by One Little Bird Designs and Stampin’ Up. With the snow officially melted, we spent a lot of time outside doing yard work, teaching Casey how to golf, playing soccer, and shopping on Whyte Ave. Of course, we can’t forget about Mother’s Day – Jason let me pick out anything I wanted at the Tiffany store in Calgary. What a lucky Mom I am!! 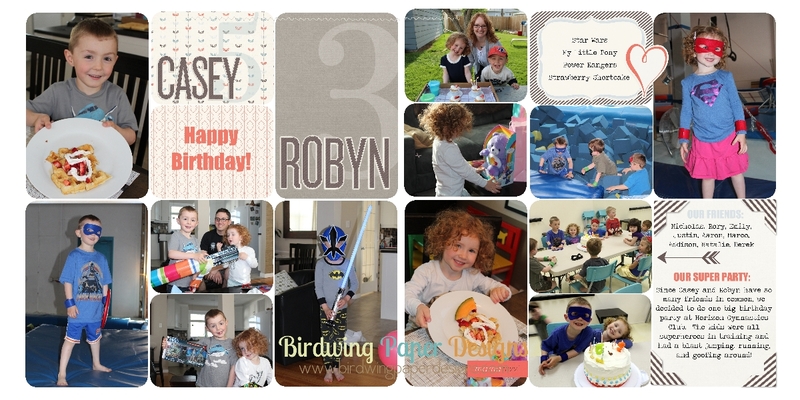 At the end of the month we celebrated Casey and Robyn’s birthdays. Casey is still talking about the superhero party and it has been over a week! I think June will be a slower month for us now that the birthdays are over and the garden is planted. Finally, time to relax and enjoy the yard… before the mosquitoes come back!